The Federal Communications Commission hit AT&T with one of its biggest fines in history today: Ma Bell has to fork over a hefty $100 million for allegedly slowing internet speeds for folks with unlimited data plans. Apparently, the FCC found out that AT&T throttled net speeds for people who used up a particular amount of data, slowing the internet speeds way down. 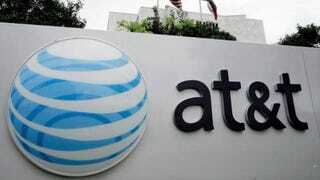 The nation’s second biggest wireless carrier has been questioned before about what it means by “unlimited.” Last year, the Federal Trade Commission made similar accusations against AT&T as the FCC did today. Aaaaand suddenly that $100 parking ticket you got last week doesn’t seem so bad. Updated (6/17/15, 2:06 p.m. EST). AT&T’s statement below. Also, here’s an FCC filing they made earlier this year.